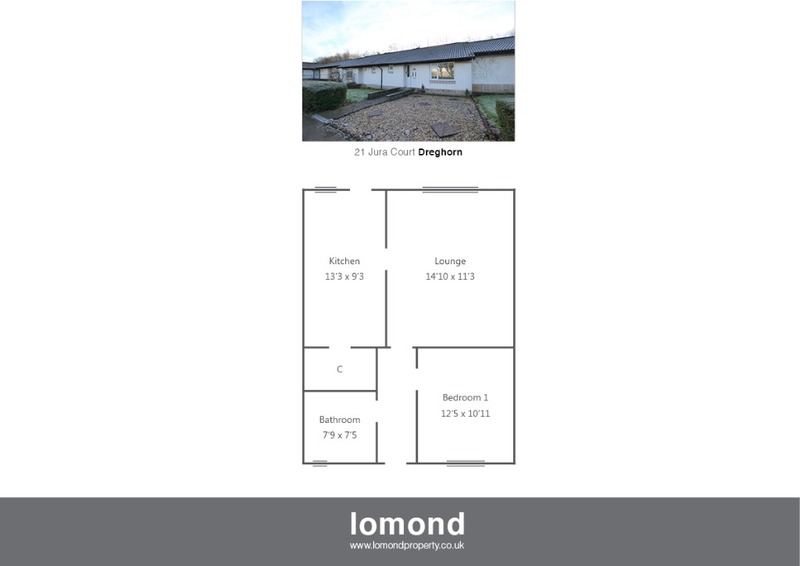 A rarely available bungalow situated within a quiet residential area of Dreghorn. With parking to the rear and spacious apartments throughout this property is ideal for those seeking on the level accommodation. The property comprises lounge, spacious kitchen, shower room, and double bedroom. In summary the property layout extends to an entrance hallway with further access to the rear. The lounge is spacious with views to the garden and wooded area. Off the lounge the spacious dining kitchen comes well stocked with floor and wall mounted units, and a large walk in cupbopard. The shower room has walk in shower, WC and WHB. The double bedroom completes the accommodation. Externally the property has grounds to the front and rear, laid to a combination of lawn, and decorative chips.. To the rear there is also residents parking. Jura Court is a pleasant residential area. Irvine town is close by and provides access to a range of amenities including supermarkets, bars, restaurants and town centre shopping. There are a number of local primary and secondary schools within the greater Irvine area.